There are now a number of events in China and abroad where Westerners can meet new Chinese friends and business contacts. However, if you do not understand how to create a personal connection with the Chinese, you may find your efforts coming up short. Do you want to expand your circle of Chinese business contacts? Do you want to make more Chinese friends? 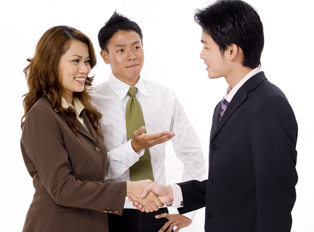 Are you unsure how to talk with the Chinese at networking and other social events? 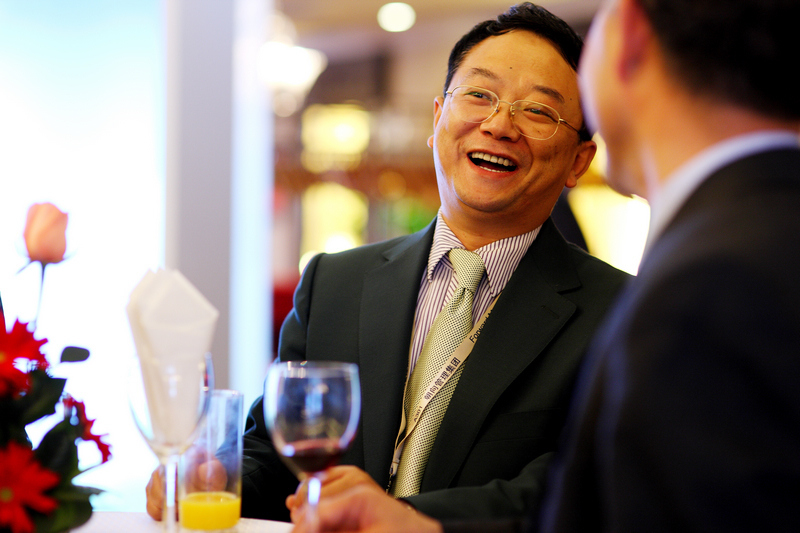 Networking events have become a very popular pastime in Mainland China, especially in areas with a large numbers of Western expatriate workers. But aside from providing Westerners with the opportunity to relax and expand valuable networks of Western business and personal contacts, there is the potential to connect with the Chinese as well. Although the more conservative ideas and beliefs of the Chinese on social and business relationships do not often mesh well with more open and relaxed Western networking practices, this has not prevented a growing number of Chinese locals from attending networking events, especially in the big cities. These not only include younger Chinese who have previously studied and worked overseas, but also more “local” business people and officials. Despite the opportunities presented by this upswing in Chinese attendees, connecting with them is not as easy as you might first think. Overcoming differences in culture, language, and communication styles might initially seem like a simple proposition, but in realty can present a greater challenge. However, with a little practice and some insights into how the Chinese communicate, things can become a lot simpler. In the following article I share a few important tips on how to take the first step in connecting with the Chinese, whether for business or pleasure. One problem I’ve seen prevent other Westerners from effectively connecting with the Chinese at events is an initial unwillingness or hesitance to approach them. This does not usually stem from any kind of ill will, but rather from language barriers and differences in communication styles. Many Westerners new to China have not had much experience with the Chinese language or culture, and this can lead to a great deal of stress, especially following a long work day. Many Chinese attendees, especially those older or more senior, are more reserved or hesitant to speak in English for fear of embarrassment. Thus, it might be no surprise that at these types of after work social and networking events, the room often separates out into two distinct groups – locals speaking Chinese and Westerners speaking in English (or another Western language). However if you are really interested in making new Chinese contacts, someone has to take the first step, and why not you? Simply find a group, and insert yourself into the conversation with a hello or “ni hao,” and the group will almost certainly move to welcome you. In addition, it’s worth considering that any Chinese “loners” at a given event may turn out to be a more senior, or possibly more local individual (with more local connections), and seeking them out will at the very least provide you with a a good introduction to more local Chinese communication styles, and potentially a good contact with local industry connections. It is also worthwhile to consider the idea that, through emulating local Chinese communication styles, you may allow yourself to create a greater degree of rapport with the Chinese. While this prospect may seem difficult or uncomfortable to some readers, for those who sincerely wish to expand their network of Chinese contacts, creating an emotional connection in your conversations with the Chinese can be incredibly effective. Due to traditional Chinese concepts such as Face, and ideas of proper behavior, conversations can take on a slightly different tone between Chinese attendees of networking events, and contain nuances separate from the experiences of most Westerners. And because Chinese relationship networks tend to be much more personal than many in the West, the Chinese prefer to feel some sort of emotional connection when networking or meeting new contacts. If Westerners can tap into this type of connection when networking with the Chinese, then it will be possible to more quickly and effectively create new friendships or partnerships. Offer more compliments than usual: Face is such a rudimentary part of Chinese people’s daily lives that even among close friends and business partners little compliments fly back and forth simply on pure reflex. If you can pick up on this “rhythm” of the conversation, native Chinese will likely feel more comfortable around you. Let your enthusiasm show through: The Chinese focus on Face and relationships also combine to create what can only be described as an atmosphere of greater enthusiasm, as if everyone were best friends. Therefore its not advisable to be cool, and reserved when trying to make new Chinese friends and contacts. Defer to age and seniority: There is a cultural attitude among the Chinese to respect those that are older, more experienced, more senior, or simply those who have a higher status (e.g. famous). Those in these positions expect this type f respect even at casual events, and providing it can engender positive feelings between the two of you. Try out some Chinese: The Chinese take pride in their country, culture, and language and seeing a Westerner try to speak Chinese with them will usually impress them and demonstrate your own appreciation of China. And when you are talking with Chinese people who are unsure of their own English language skills, being able to communicate in Chinese is an easy way to get the conversation started. With regard to the above ideas on emulating Chinese communication styles, it should be noted that the Chinese (all of us, in fact) respond to interpersonal communications both consciously as well as subconsciously. This means that although a Chinese person will almost certainly consciously recognize that Westerners communicate differently, they can rarely escape the subconscious reaction to respond positively to the application of Face or other Chinese communication styles. In contrast, a Westerner who adamantly refuses to adapt to local communication styles, may find it difficult to create strong and lasting connections with the Chinese. Another very Chinese concept you might want to keep in mind when networking with the Chinese, is that of Yuanfen. While many Westerners may have never heard of this term, the idea behind it is simple enough, that some relationships are predestined, and some people are pulled together by the mysterious forces of the universe. While many younger Chinese only give credence to the romantic implications of Yuanfen, older and more traditionally minded Chinese are much more likely to view Yuanfen as relevant to all relationships, including business and politics. And when a Chinese person believes in Yuanfen, first impressions can matter a lot. Specifically, if a Chinese person discovers you share a common background, interest, or professions, in addition to experiencing the type of emotional connection described above, they may decide they have Yuanfen with you right away. Therefore make sure you put your best face forward lest a potential friend or business partner slip through your fingers and a potential opportunity be lost. When networking in China, whether for fun or professional reasons, the more time and effort you invest, the more you get can get back. In my opinion, by not networking with the Chinese, a Westerner loses out on a potential valuable opportunity to make new friends and learn about a new culture. For the business minded, you never know who might be a potential business partner you might not have approached otherwise. All in all, life is a journey, and knowing more people helps you get where you want to go faster, and have more fun along the way. Do you have any additional questions about communicating effectively with the Chinese at networking events? Do you have positive stories of your own you would like to share with other readers? Please feel free to post your thoughts in the comments section below.